T.I.M.E. University (which stands for Taking Initiative Moving Efficiently) presents The M.E.N. Summit, going down Saturday, May 19th in Charlotte, NC. 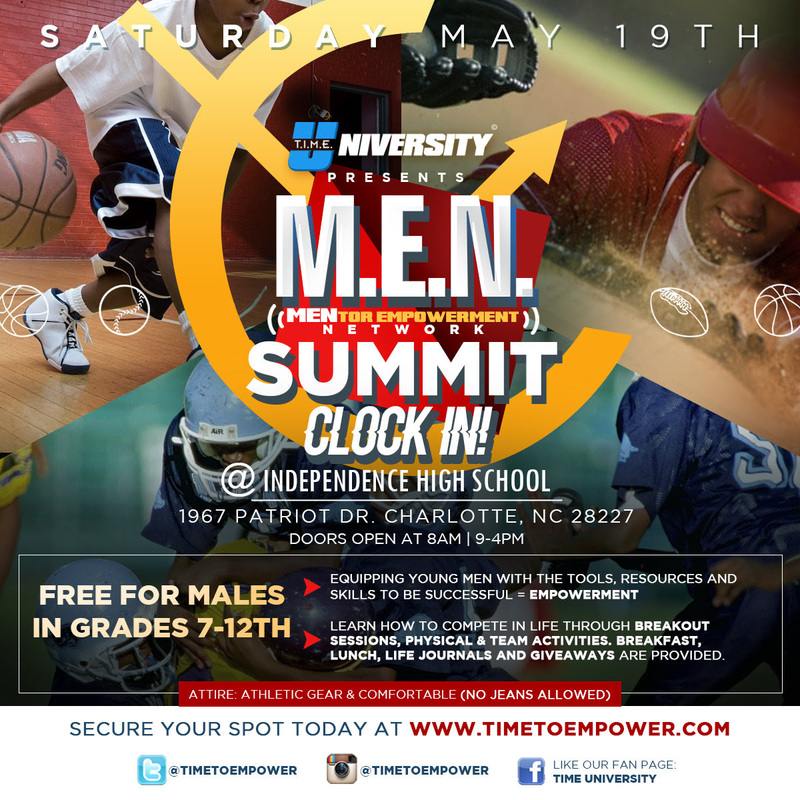 The event takes place at Independence High School from 9am to 4pm, and is FREE for all boys grades 7-12. The summit develops a bond built on goal specific engagement and empowerment for student athlete’s and young men. It’s well known that there are limited resources for our boys to grow and appreciate the possibilities outside of their environment and/or athletics. Through this programming, the youth will be equipped with the tools, resources and skills to be successful. This is an awesome event to take your son, little brother, nephew, or cousin to. Check out the flyer for more details.